Create your dream home with Paul and Sharon Ellem. 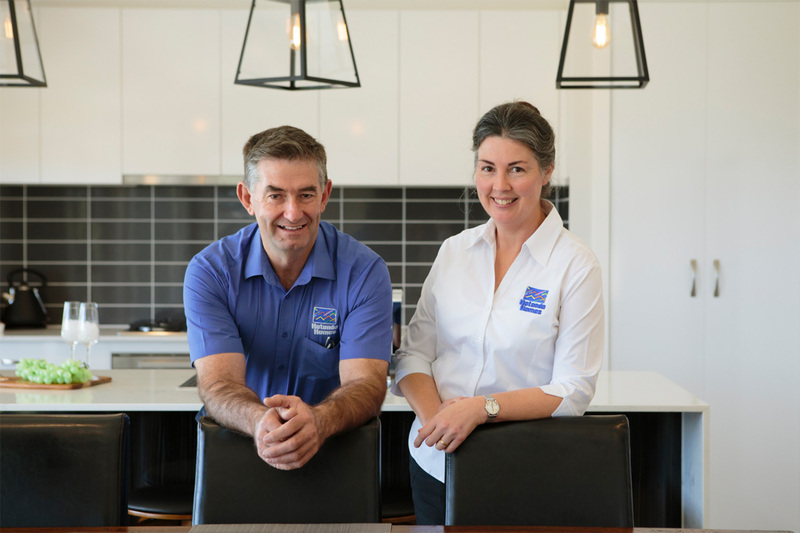 Paul and Sharon’s extensive building career spans over 35 years making them your new home builder of choice for Junee and surrounding areas, including Temora, Coolamon, Cootamundra, Young and West Wyalong. 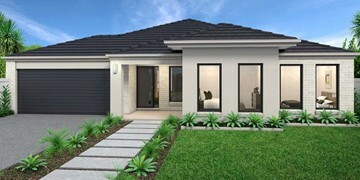 With a wide range of duplex, split level, single and double storey home designs, you can be sure to find a solution to suit your needs, lifestyle and budget. With completely flexible floor plans, creating the perfect home for you and your family is their top priority. Their team of experts are always professional and offer a truly personalised service, making your building journey one to remember. Start building your dream home today, contact Paul, Sharon and their team on the details below. 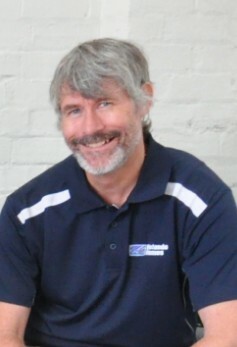 Our Estimator, Darren aims to ensure you can build a beautiful home that fits within your price range. With great attention to detail and a committment to customer service, Darren will be there to answer any question relating to your home's design and inclusions in the lead up to signing your building contract. 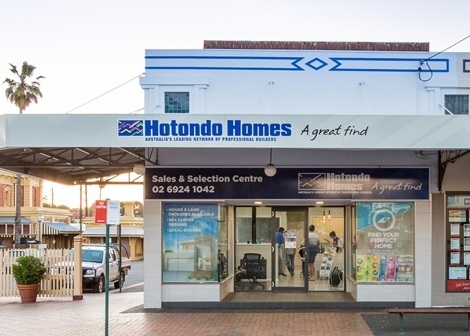 At Hotondo Homes Junee, we pride ourselves on our local knowledge and dedication to customer service. 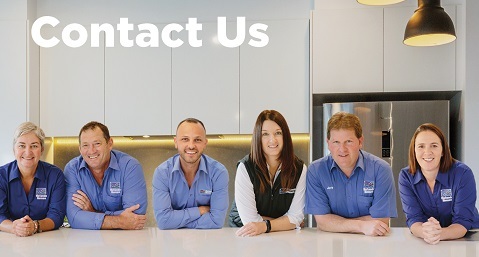 Whether you're just thinking of building or you're ready and raring to go, our team is here to help! 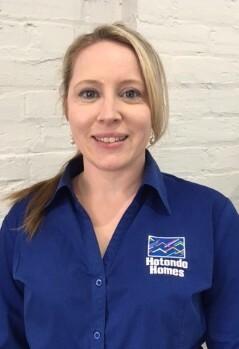 Sharon will be one of the first smiling faces you see when you visit Hotondo Homes in Junee. She is there to help you find the right design to suit your wants and needs and will step you through the building process. You'll also work with Sharon through selecting the fittings and fixtures to complete your new Hotondo Home! 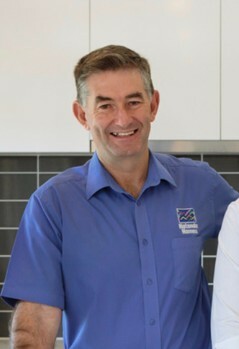 Paul is the Builder and Director at Hotondo Homes in Junee. With his years of experience in the industry, he knows what it takes to build a quality home. Paul will be there to assist you in finding the right block and throughout the construction of your new home. He's also the one who will hand the keys to you once your home is complete! Shannon will always be your first point of contact and is there to help you in the initial stages of your journey. She'll work with you to understand your needs and help find a design you'll love for years to come. She'll step you through the building process to make your journey seem like a breeze. 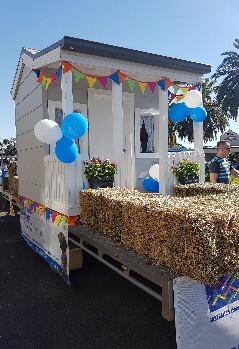 Paul built this amazing cubby house especially for the Rhythm & Rail Festival 2017. Local seamstress Judy Webb donated the gorgeous curtains and bunting. It was professionally auctioned by Rob Barratt of PRD National Junee to a lovely Junee family for $2000. All proceeds were donated to Make-A-Wish® Australia. 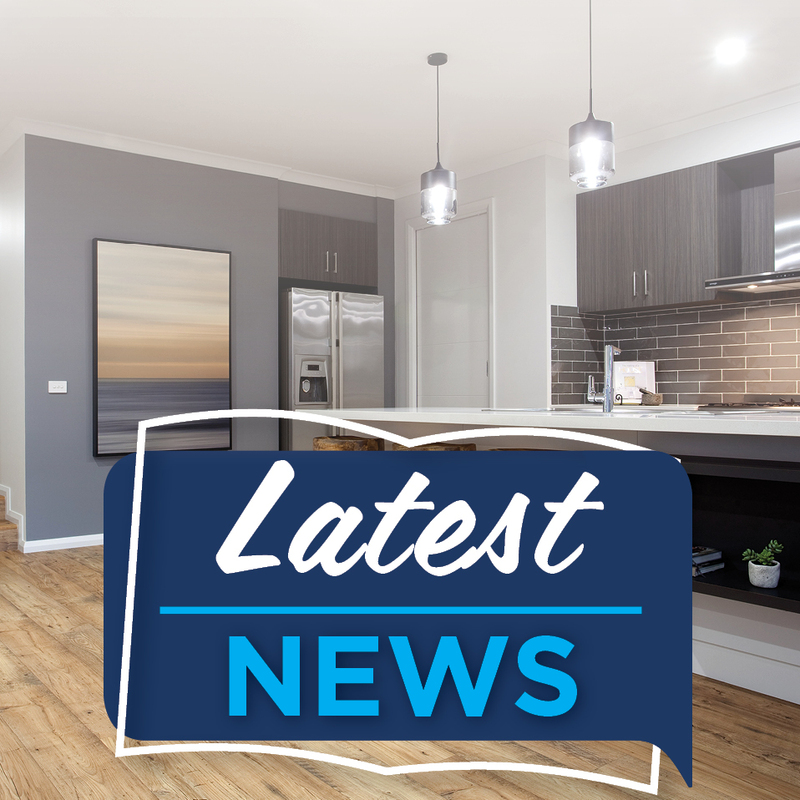 "I cannot thank the team at Hotondo Homes in Junee enough for the exceptional build quality, speed of construction and their outstanding workmanship. Paul and Sharon have been absolutely amazing to deal with from our very first meeting. Nothing was too much trouble and the build felt like a close partnership right from the start. This beautiful house is so much more than I ever imagined it could be and I smile every time I walk through the front door. I still cannot believe this is actually my new home! Thank you for everything Hotondo Homes in Junee. I’ll be proudly telling everyone that this is my Hotondo Home." 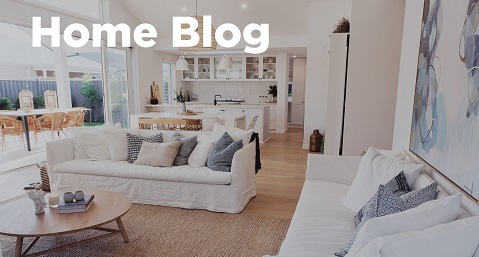 "My wife had lived in the same house for 63 years, so it was always going to be difficult for her to get excited about and embrace a new home. From the start, we found the Junee team so easy to talk to and so friendly. There was no pressure applied by them on any aspect and they were respectful of our needs and offered real and practical advice. Nothing was too hard for the team! Watching the build unfold was exciting and whenever we had any queries or concerns, they were answered promptly and in a way we could easily understand. At completion everything was as we had asked for and we were so happy. Even after the handover, Paul and Sharon have continued to follow up with us ensuring everything is going well. Thank you to Hotondo Homes in Junee who have been wonderful to work with. If we ever decide to build again then they have our business and we will continue to recommend them to anyone considering building a new home." 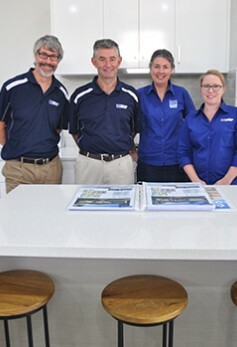 "Paul and Sharon from Hotondo Homes in Junee have been an absolute pleasure to build with. Nothing was a problem and the build went so smoothly and quickly. We were kept in contact throughout and we couldn’t recommend them more highly. Our home is beautiful." 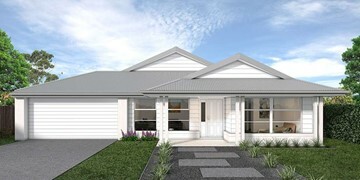 "Hotondo Homes in Junee are the best home builders around. I looked at many houses, then decided it was in my best interest to have Paul and Sharon build my first home. It was evident they knew their stuff and gave me plenty of time and help to choose the perfect design, layout and internal features that made my house unique. They even had a range of displays in their selection centre so I could visualise what the end result would look like. Everything in my brand-new home is perfect! Paul, Sharon and their team went above and beyond to make building my first home an easy and fun experience. No matter how many changes I made, nothing was a hassle. 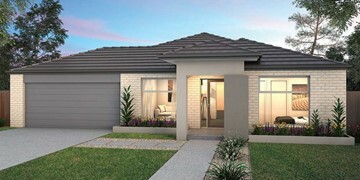 I wouldn’t have any hesitations in recommending Hotondo Homes in Junee to anyone. They love what they do and make sure everything is perfect, even down to the finer touches. Thanks again guys, you’ve done an amazing job!" "When we first met Paul and Sharon Ellem, we felt very much at ease. They are very knowledgeable, professional, friendly and easy-going. We quickly felt we could work with them and trust them with the largest investment of our lives. Paul is very experienced, and has built a lot of homes locally. 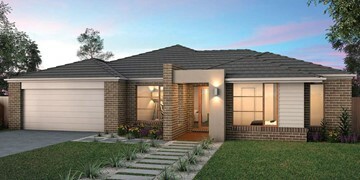 The Hotondo Homes in Junee team ensured the whole building process was as stress-free as possible. Paul also ensured we understood every step, made suggestions, and took on-board our thoughts and ideas. When we had queries, he always got back to us very quickly. Prior to lock-up, the team was even happy for us to visit the site after hours, which we did almost every day to take photos. 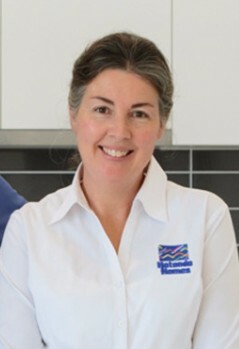 Sharon ensured we received an email each week, detailing where our build was up to and what should happen that week. We never expected to be building again, but when we realised Paul could build our forever home cheaper than buying an established house near where we built, and we could choose everything we wanted, it was a no-brainer. We cannot fault Paul and Sharon Ellem from Hotondo Homes in Junee. We are thoroughly enjoying our new home as it has exceeded our expectations. We highly recommend Paul and Sharon to anyone considering building locally. They strive for the highest build quality and their customer service is amazing! We now regard them as friends." "Back in November 2016 the family decided to move to Junee. 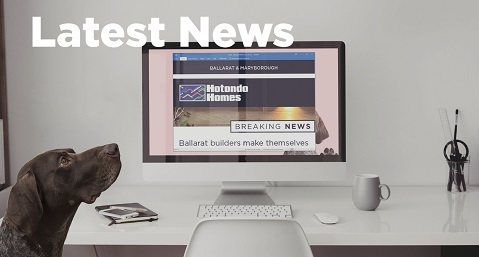 We decided that we were keen to support local businesses so it was fortunate that Hotondo Homes were about to set up in Junee. On meeting Paul and Sharon we quickly felt that we would form a great working relationship through the build - we weren’t mistaken! From design through to completion Paul and Sharon were so easy to work with. Everything we wanted to include in the build was worked through, costed and jointly decided on. Our block had numerous problems, yet Paul worked through every one and achieved a great result. The stand out of the whole project was the quality. Paul is very particular about the quality of the finish, and that was on show when we did the final walk through. Every trade had done a first class job. Even minor things that I hadn’t noticed Paul brought to my attention and arranged to have fixed. In the end the house was perfect and if we choose to build again, we wouldn’t consider going anywhere else."